SAN BENITO — For nearly 15 years, Freddy Fender’s easy smile has beamed from the top of the City of San Benito’s water tower. 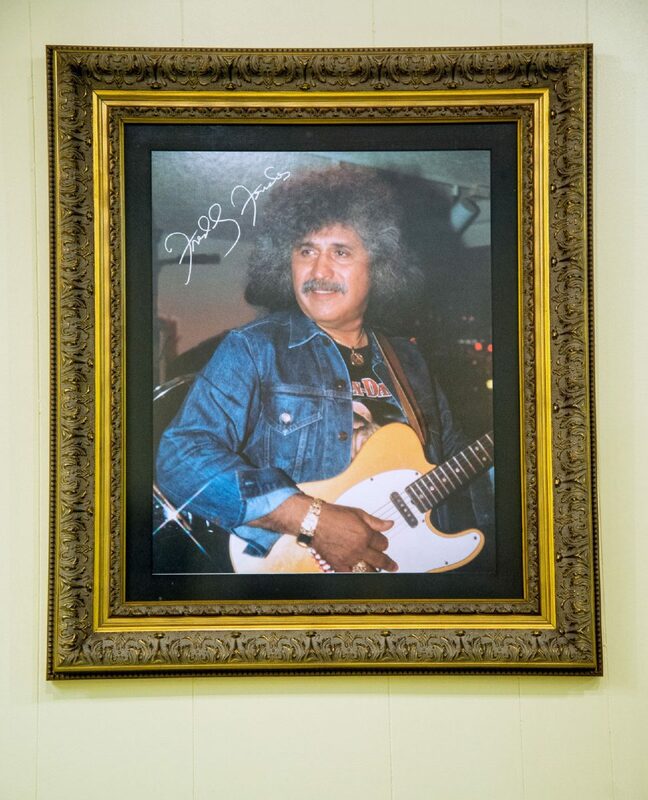 Born Baldemar Huerta in the El Jardin barrio, he swam in the resaca across the road from his home on Rossiter Street, which the city named Freddy Fender Lane in 2004. In the city’s cantinas, he honed his legendary voice before recording his songs at the Ideal Recording Co.’s studio off Sam Houston Boulevard. In 2006, the Grammy Award-winning singer was buried at San BenitoMemorial Park, where his image stands emblazoned across a tall granite monument. Two years after his death, the city opened the FreddyFenderMuseum to honor its hometown hero. But now it’s unclear whether the artifacts and items will become part of the new $1.7 million San Benito Cultural Heritage Center when it opens possibly later this year. On Friday, Vangie Huerta, Fender’s widow who owns legal rights to his name, said she has requested the city enter an agreement in which it would prominently display his name outside the new museum while compensating her for the use of his artifacts. Huerta said the city has not discussed her request for an agreement since about September. City Manager Manuel De La Rosa is discussing with Huerta “the future of the FreddyFenderMuseum,” city spokeswoman Martha McClain said. But Huerta said her husband’s museum has appeared to take a back seat to the Texas Conjunto Hall of Fame and Museum and the San BenitoHistoryMuseum, which share a 1,000-square-foot space at the city’s CommunityBuilding. “I don’t want them to put it in a corner,” she said, referring to any plans to display the exhibit at the new 7,000-square-foot museum. The city denied the claim. However, Huerta said she has considered returning the artifacts to Corpus Christi. Huerta said other Valley cities want her to showcase the museum, but she wants to keep it in her husband’s hometown. Meanwhile, Tammy Huerta Fender, Fender’s daughter, said she and a developer expect to meet this week with De La Rosa to discuss her plans to build a museum to honor her father’s legacy. However, Huerta — because she owns legal rights to her husband’s name — said Huerta Fender could not build such a museum. For years, the city has planned the CulturalHeritageCenter to showcase the FreddyFenderMuseum along with the Conjunto Hall of Fame and Museum and the San BenitoHistoryMuseum. The $1 million federal grant used to help fund the new museum’s construction stipulates the FreddyFenderMuseum would be part of the CulturalHeritageCenter, said Rey Avila, founder of the Texas Conjunto Hall of Fame and Museum. 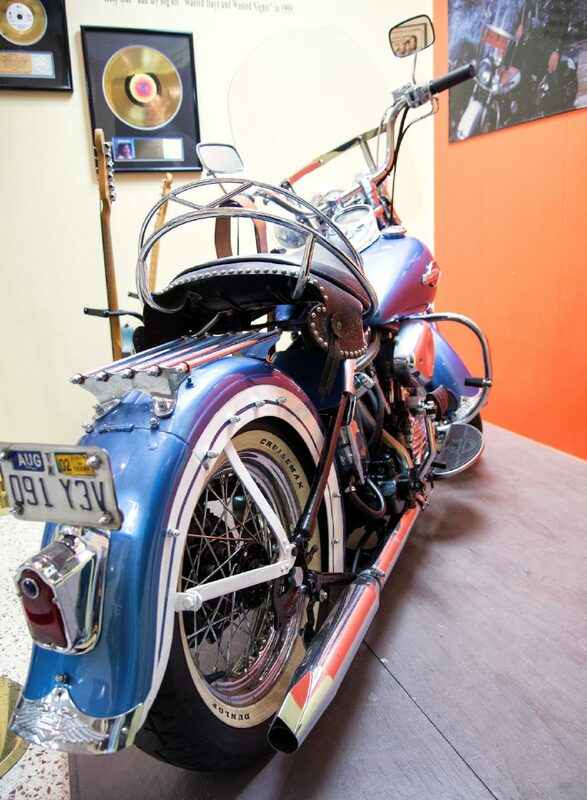 Of the city’s three museums, Fender’s museum has become a major draw, luring tourists, especially Winter Texans, to the CommunityBuilding, Avila said. As part of a new plan, the city is creating a cultural district to include the CulturalHeritageCenter and the nearby CommunityBuilding. Sandra Tumberlinson, a co-founder of the history museum, said the city plans to continue to honor Fender’s legacy.